Just in time for the World Cup tournament, a group of enterprising women entrepreneurs has unveiled a soccer ball that captures and stores energy generated by play. Called the sOccket (a mashup of “soccer” and “socket”), the ingenious little ball was created by Harvard alums Jessica Lin, Jessica Matthews, Julia Silverman, and Hemali Thakkar with developing nations in mind. Kids in countries where electricity is not readily available can play a game with sOccket after school and then bring it home to power a lamp so that they can do homework. 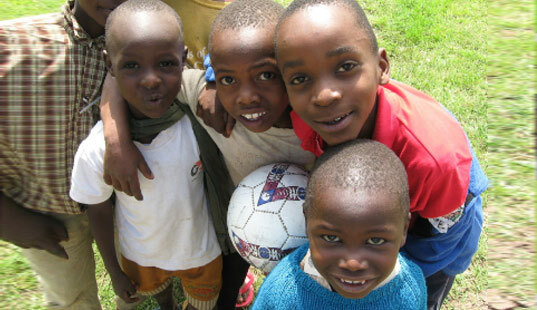 Imagine what an improvement the sOccket could make in nations where dangerous kerosene lamps that can start fires or even kill children by causing respiratory infections are currently the only option for light. The new sOccket is actually version 2.0 – an improvement on the prototype. It uses an inductive coil mechanism kind of like what you would find in a kinetic energy flashlight. The movement of the ball forces the magnet through a coil which induces a voltage to generate electricity, but the mechanism does not effect play. According to Lin, the smoothness of the play was a major step up from the original sOccket. So how much energy can sOccket capture? 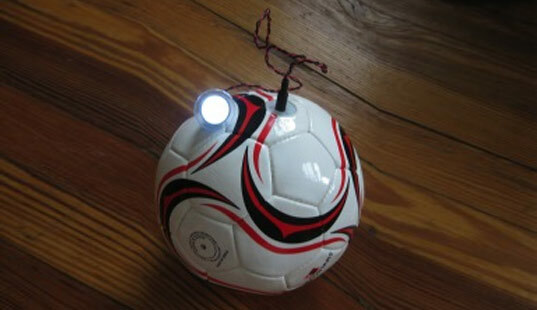 For every 15 minutes played on sOccket 1.0, the ball was able to store enough energy to illuminate a small LED light for three hours. sOccket 2.0 can light the same LED for the same time with just 10 minutes of play. But knowing youngsters, a shortage of playing doesn’t seem likely anyway. Via TakePart – Thanks Laurel! Just in time for the World Cup tournament, a group of enterprising women entrepreneurs has unveiled a soccer ball that captures and stores energy generated by play. Called the sOccket (a mashup of "soccer" and "socket"), the ingenious little ball was created by Harvard alums Jessica Lin, Jessica Matthews, Julia Silverman, and Hemali Thakkar with developing nations in mind. Kids in countries where electricity is not readily available can play a game with sOccket after school and then bring it home to power a lamp so that they can do homework. Imagine what an improvement the sOccket could make in nations where dangerous kerosene lamps that can start fires or even kill children by causing respiratory infections are currently the only option for light.